Frontiers in Molecular Biosciences publishes rigorously peer-reviewed studies focusing on the molecular mechanisms underpinning and regulating biological processes in organisms across all branches of life. Indexed in Web of Science (SCIE), PubMed, Scopus, and more. Much of contemporary investigation in the life sciences is devoted to the molecular-scale understanding of biological processes — in particular, dynamic alterations in the levels, modifications, and interactions of cellular effectors, including proteins. Frontiers in Molecular Biosciences offers an international publication platform for basic as well as applied research; we encourage contributions spanning both established and emerging areas of biology. 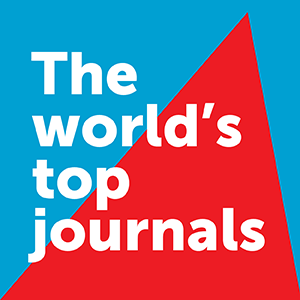 To this end, the journal draws from empirical disciplines such as structural biology, enzymology, biochemistry, and biophysics, capitalizing as well on the technological advancements that have enabled metabolomics and proteomics measurements in massively parallel throughput, and the development of robust and innovative computational biology strategies. We also recognize influences from medicine and technology, welcoming studies in molecular genetics, molecular diagnostics and therapeutics, and nanotechnology. In addition to interesting new findings, techniques, and applications, Frontiers in Molecular Biosciences will consider new testable hypotheses to inspire different perspectives and stimulate scientific dialogue. The integration of in silico, in vitro, and in vivo approaches will benefit endeavors across all domains of the life sciences. Our ultimate objective is the comprehensive illustration of the molecular mechanisms regulating proteins, nucleic acids, carbohydrates, lipids, and small metabolites in organisms across all branches of life. Frontiers in Molecular Biosciences is a member of the Committee on Publication Ethics. Short Name: Front. Mol. Biosci. The specialty sections of Frontiers in Molecular Biosciences welcome submission of the following article types: Book Review, Brief Research Report, Clinical Trial, Correction, Data Report, Editorial, General Commentary, Hypothesis and Theory, Methods, Mini Review, Opinion, Original Research, Perspective, Review, Specialty Grand Challenge, Technology and Code, Systematic Review and Policy Brief. When submitting a manuscript to Frontiers in Molecular Biosciences, authors must submit the material directly to one of the specialty sections. Manuscripts are peer-reviewed by the Associate and Review Editors of the respective specialty section. Articles published in the specialty sections above will benefit from the Frontiers impact and tiering system after online publication. Authors of published original research with the highest impact, as judged democratically by the readers, will be invited by the Chief Editor to write a Frontiers Focused Review - a tier-climbing article. This is referred to as "democratic tiering". The author selection is based on article impact analytics of original research published in the Frontiers specialty journals and sections. Focused Reviews are centered on the original discovery, place it into a broader context, and aim to address the wider community across all of Molecular Biosciences.